Do your visits to the physio follow the same old script? Act One starts with you saying “I know I’ve seen you about this before, but I just can’t seem to shake the pain in my knee/hip/foot/……. (insert problem area here)”? In Act Two, the physio flicks an eye over your history, laments your lack of flexibility, then proceeds to prescribe a series of exercises, which you either do for a bit, then lose enthusiasm, or you don’t bother doing at all. Act Three features a return visit to the physio, maybe three months’ later, with you limping a little and saying “I know I’ve seen you about this before, but ….”. If this sounds all too familiar, then it’s time to take the drama out of the way you manage your pain. Here at Back to Health Physiotherapy, we are dedicated to helping you get on top of those everyday niggles. 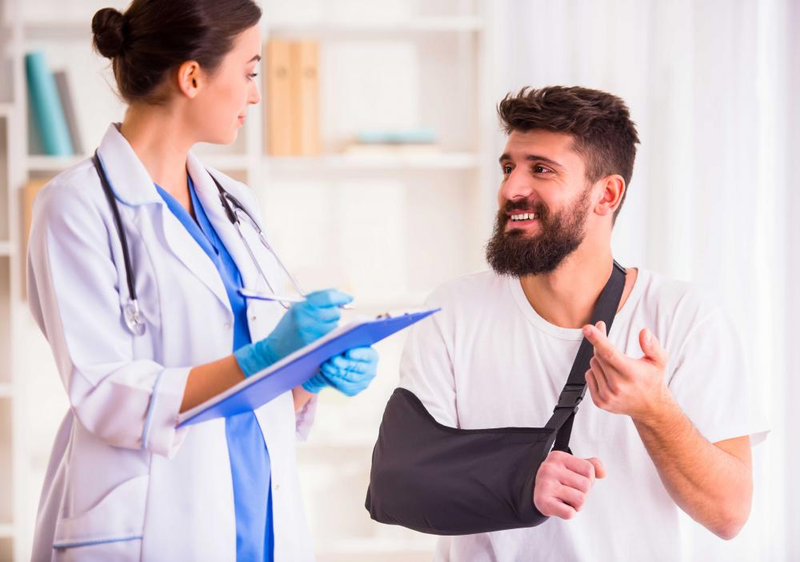 Rather than simply treating your problems as they arise, our team of expert health professionals can develop a plan specifically for you, created to strengthen problem areas and prevent injuries before they happen. The first step to helping you to pain-free movement is to identify what’s causing your pain. This means acknowledging your pain rather than trying to push through it. Regular and repetitive pain is a sign that something is wrong. Just putting up with it, trying homespun remedies, or using Google to self-diagnose only puts you at risk of further injury. If you really want to deal with the problem, we recommend that you come in for an assessment with one of our qualified physiotherapists. It’s highly possible that the symptoms of your injury are actually caused by something else – a weakness or a biomechanical problem in another part of your body. Only by undertaking a full analysis can we begin to identify the structural issues which are responsible for your repetitive injuries. Once we have established what’s wrong, it’s time to rebuild your body and strengthen problem areas through a targeted program designed especially for you. Starting with your areas of pain and weakness, our team will tailor a regimen to restore your body’s balance. Rather than giving you a set of exercises and wishing you well, a dedicated physiotherapist will work with you on an ongoing basis, monitoring your progress and continually tweaking your recovery program so it directly addresses your problem areas. Our end goal is the same as your end goal: we want you to be active, mobile and pain free all of the time. Rather than constantly having to respond to injury, we want to help you get on the front foot and treat the underlying imbalances which are the cause of your problem areas. If you are tired of the drama of ongoing pain, give us a call today on Newport (02) 9997 4970 or Balgowlah (02) 9949 3770 and raise the curtain on a new, pain-free you!